In a multi-purpose facility by the sea and on the sand, we have decided to treat our guests! In the morning, enjoy your coffee on the deckchairs of the beach and take a refreshing swim in the waters of Santorini. Choose your brunch among the various options offered at Mango. When the sun rises midday, come to the restaurant and taste amazing dishes with local products, including meat and fish accompanied by fantastic appetizers and colourful salads. We can suggest a suitable wine from our collection, which will make you feel really excited! In the afternoon, we will be waiting in our café with a cooling cocktail while enjoying the view of the sea and the volcanic sand. Our colourful cocktails will be the perfect company for crazy nights in our club. Drinks, music, joy and fun! 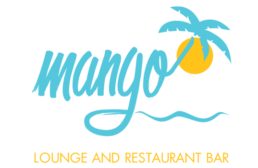 Welcome to Mango!